Congratulations to Brandon Schaefer on Winning Event #14: $1,500 No-Limit Hold'em Shootout ($311,174). 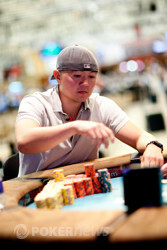 Twelve players came back today with the relative same size chip stacks. Thirty minutes into the day Zachary Korick and Jarred Solomon were eliminated and all players were transferred from the Amazon room over to the feature table in the Pavilion room. 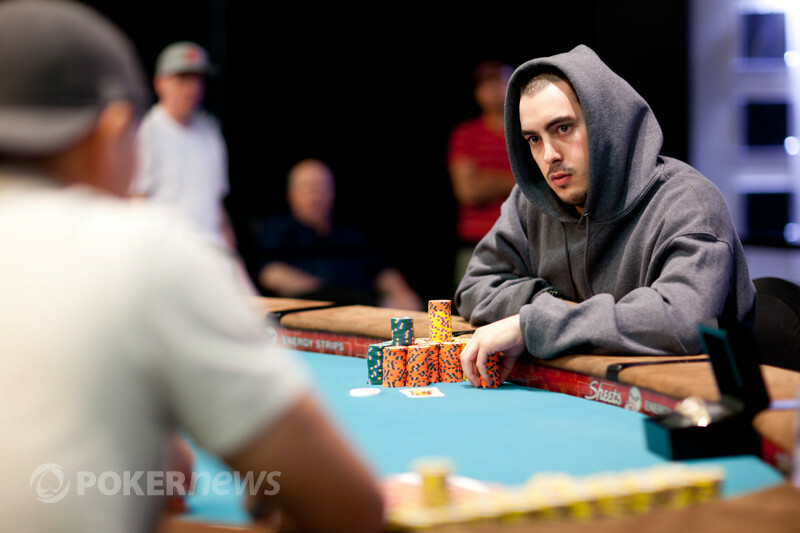 Layne Flack came out pretty strong once the final table commenced, and once he eliminated Dylan Horton in 10th place he secured a massive chip lead on the others at the table. The elimination of Dylan Horton brought us to our official nine handed final table. Flack started the final table by dictating a lot of the action, but he didn’t always come out on top. In fact he is a big reason Brandon Schaefer got to heads up play. 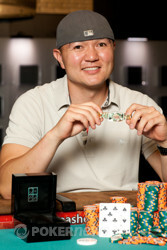 Flack slowly got shorter and shorter, and eventually he was forced to go all in and things didn’t go in his way and the six time bracelet winner was eliminated in fourth place. Layne Flack wasn’t the only bracelet holder to make an early exit on us today. Jeff Madsen also came to play. However Madsen never seemed to really pick up any steam though and was knocked out in 7th place. Once Adam Kagin was eliminated in third we found ourselves in a highly competitive heads up match between Brandon Schaefer and Jonathan Cohen. Schaefer maintained a steady lead for the entirety of the match, but just because he held a lead does not mean it was an easy undertaking. Cohen continually check-raised pots and put Schaefer in tough spots. Schaefer eventually started to pick up on Cohen’s tendencies and managed to make a great call. In the end though Schaefer came out on top. 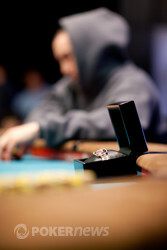 Congratulations to Brandon Schaefer on his first WSOP bracelet. Come back to Pokernews tomorrow and find out who the next great poker champion will be. 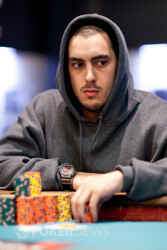 Jon Cohen opened the pot to 90,000 and Brendan Schaefer called to see a flop appear. Schaefer check-called a 105,000 bet to head to the turn where he faced a 230,000 bet. His response was to check-raise all-in. Cohen stood up out if his chair and this caused the rail to pile forward. He hadn't called yet though but that came 30 seconds later. He had 1,800,000 chips when he called all-in. Schaefer: for a an open ended straight draw. The river came to complete Schaefer's straight. He stood there staring at the board and there was an eery silence that seemed to last for a minute but was more like three seconds. The silence was interrupted by the floor man who confirmed Schaefer the victor. Half the rail wet crazy, half consoled their broken man. A big congratulations go to Cohen who played a major part in making this a great final table. Brandon Schaefer faced a raise to 85,000 that he treated to a three-bet to 225,000. Jon Cohen called but folded to a 300,000 c-bet on a flop. The very next hand Schaefer opened and faced an all-in shove for 1,550,000 from Cohen. Schaefer stood as if to call but it was a dummy move as he folded. This time it was Jonathan Cohen who made it 65,000 from the button preflop. A flop was flipped over after Brandon Schaefer called the preflop bet. Schaefer then checked-raised to 210,000 after Cohen bet out 80,000. Cohen's response to all this was to move all in, to which Schaefer instantly folded. Brandon Schaefer started out this hand in familiar fashion by making it 65,000 from the button. Jonathan Cohen in the big blind made the call and saw a flop. It was here that Cohen check-raised all in for about 1,250,000. Schaefer quickly folded, and this was the first time we saw Cohen move all in here in heads up play. A bet of 65,000 is becoming quite common in this heads up match, and this recent hand was no different with Brandon Schaefer putting out that standard bet on the button. Jonathan Cohen in the big blind made the call and saw a flop. It was here that both players checked. A on the turn brought another check from Cohen, and a bet of 75,000 from Schaefer. Instead of simply calling or folding Cohen raised and made it 250,000, and after awhile Schaefer convinced himself he was good and made the call. The on the river saw a 325,000 bet from Cohen, a bet Schaefer was not sure about. After a minute or so Schaefer did indeed make the call. Cohen instantly mucked and Schaefer showed . 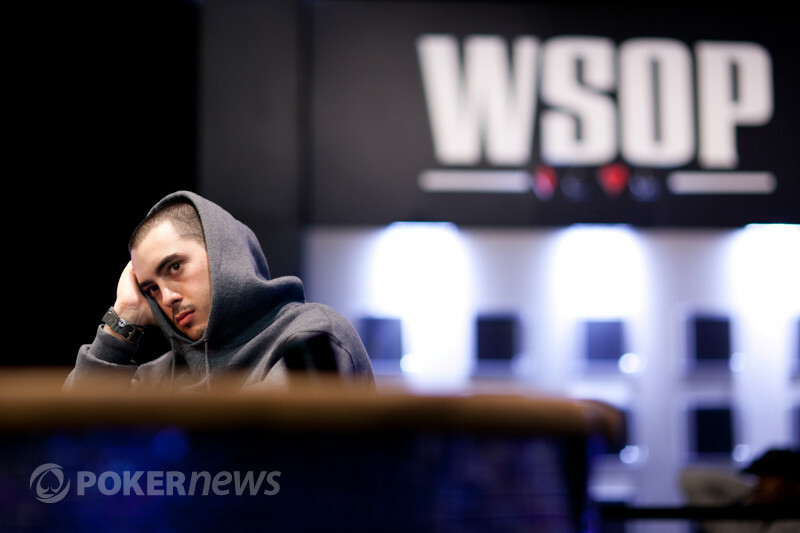 Brandon Schaefer raised to 65,000 from the button and Jon Cohen peeled to see a flop. Schaefer continued for 75,000 and Cohen check-called before he led for 175,000 on the turn. It did the job as Schaefer folded. That hand would've made Cohen felt better as the hand before his open was three-bet by Schaefer. Cohen called and called a barrel on the flop. The 365,000 barrel on the turn was too much heat for him though. Jonathan Cohen has come back from break with the right attitude, or maybe just the right cards. Cohen has managed to take down the past four pots. The biggest of which was this one where he bet out 65,000 preflop from the button and received a call from Brandon Schaefer. Then on a flop we saw Cohen bet out 85,000 after Schaefer checked. Schaefer completed the call, and it was off to the turn. The then showed up on fourth street, and it was here that both players knocked the table for checks. A on the river saw a check from Schaefer and a bet of 205,000 from Cohen. After a minute or so Schaefer made the call and was in for a sore sight as Cohen flipped over . This was seemingly good enough as Schaefer threw his cards in the muck.